This statistic displays gaming frequency in Great Britain by age as of July 2015. 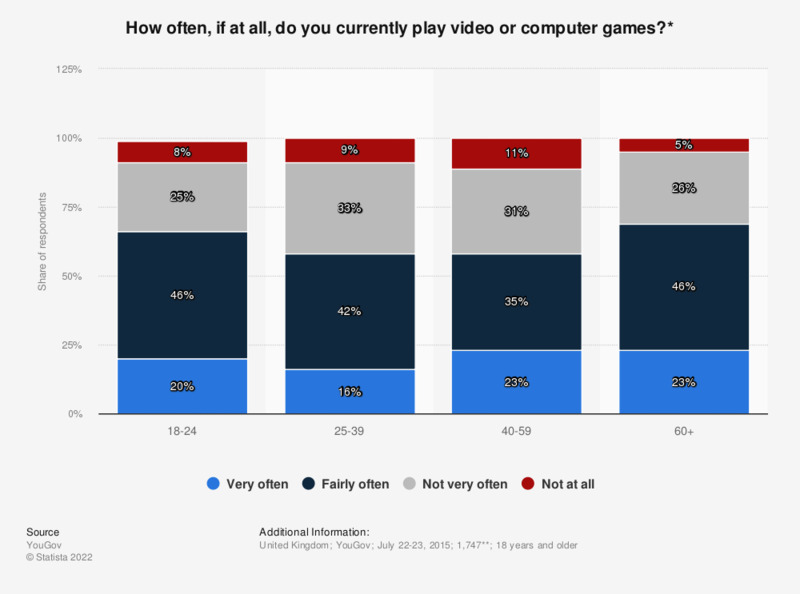 Gaming very often was least common among respondents aged 25 to 39, at 16 percent of respondents. * This question was only asked to respondents who regularly play computer or video games, or have done in the past; n = 628. ** n (18-24) = 208; n (25-39) = 442; n (40-59) = 597; n (60+) = 500.